← You can’t have one without the other. Nature, damn it! Political websites – who cares? I’ve been puzzling over politics. Does any party really stand for anything any more? Or have they all done the Indian rope trick and vanished up their own hot air? I was looking for a clear signal from each party about what it stands for – a switch to turn on the potential voter – me, for instance. Every major party’s website is set up so you land on a page that asks you to sign in, take part – or give money. Donate, if you prefer. I know the mention of money makes some people feel squeamish. But I persisted, trying to find what I wanted, while yet avoiding registering, joining or donating. And I gave them all a good deal more than the eight seconds Generation Z* would give them to make an impact. I had in mind quite a factual exercise, perhaps devising a table of winners and losers, but I had to abandon that plan. Because out of all the parties, from the Grand Old Party to jolly old UKIP, there was no contest. The British Labour party won, hands down. You may smirk, not surprised Labour won my contest, because you’ve read a few of my blog posts, nailed me for a bleeding-heart liberal. Well, you might be right about me – but as to what contest Labour won – do not assume. The Labour party won my prize for the least inspiring, motivating and enthusing political website. The one with the least heart, soul and vision. This doesn’t mean that other old established parties, like the Conservatives, do it particularly well – they don’t. In fact, it seems to me that the younger, less powerful your party is the harder it tries – and the better the job it does of encapsulating its values. Parties are a bit like people. The younger ones, political toddlers, are itching to grow up, to sit in the big chairs at dinner. They don’t want to be old and boring like the big people, but they want to be able to boss us around and go to bed late. Once a party leaves adolescence behind, its principles become fuzzy. Too much reality intrudes, along with the tough decisions. It’s no longer able to see the trees for the woods. It becomes establishment, not just established. But I started my trawl with nice young kids – the Greens. If I was sold on their message, I thought, I might tag along – see if I could make a difference. My Machiavellian approach to PR has, after all, done some quite interesting things for people and organisations – who’s to say I couldn’t influence a whole party? And the Green party – aside from its name (I suspect they wouldn’t have listened to me about changing that) – did a pretty good job of switching on my voting potential. But when I read the bit about ending factory farming – I sighed. I mean, I like a bit of idealism but, frankly, how are we going to replace the flocks of barn-reared chickens living just to donate their skinless breasts, thighs and drumsticks to our supermarket shelves? Or the legions of cows that endure pregnancy after pregnancy to squeeze out milk for our tea? And what about all that Russian-owned Scottish farmed salmon flopping around the windswept northern coasts? Is it really possible to wave a magic wand and ban it? Leaving the Greens to their fate, therefore, I assessed the rest of the offerings online. Now, if you live outside the UK you probably won’t understand why that’s so scream-worthy. Let me illustrate. The Lib Dems are the people who have kept the Conservatives in a coalition government. Who claim to have restrained them, kept the right wing in check. Who condoned the introduction of £9000 a year university tuition fees, to the horror of the students who helped vote them into power in the first place. Who helped bring in changes that are ruining our envy-of-the-world National Health Service. Yes, the Lib Dems may have wooed me well online, but I can’t ignore their ‘help’ for the current regime. And, anyway, my heart was hoping to be charmed by another. By the party that, once upon a time, stood for the working classes. Because I’d like to see a fairer world. A world where money’s not rewarded with more – and more easily gained – money. Where poverty – genuine, un-blameworthy poverty – is not treated with shame, scolding and an added dose of hardship. A world where capitalism is morally rooted. Where the market Genie is back in a bottle, responsive to us, not free, wreaking havoc. But while I found a succinct assessment of values, aims, ethos on almost every website there was one exception. What is your problem, Labour? Are your principles only available once I’ve registered? Surely you’re the party that any soggy, soft-centred, bleeding-heart liberal might naturally gravitate towards. But, where is your heart? Do you have one any more? 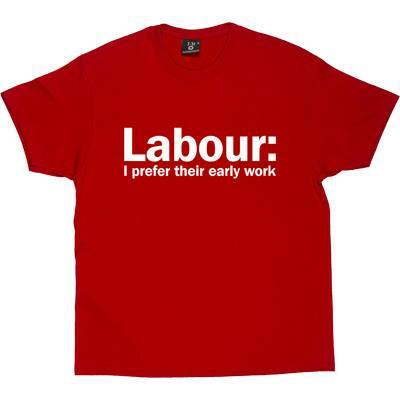 Did New Labour turn you inside out, did scavengers strip off your guts? I’ve tried, really tried, to be patient. But you’re enough to try the patience of a saint. It seems there isn’t one single party in this great country of ours that seems able to woo me to its side. I may have to start my own. This entry was posted in Thinking, or ranting, or both and tagged Conservative Party, Democratic Party, factory farming, Generation Z, Grand Old Party, Green party, Labour Party, Liberal Democrats, UKIP, websites. Bookmark the permalink. 5 Responses to Political websites – who cares? Wow this one makes my head spin, but I will focus on the color gray. Dull? I don’t think so. It’s a good choice. It’s the color of compromise. It’s what’s missing in the US political party system. Nothing works. Our gears are locked. Good piece… but politics today makes me crazy! Any interest I had in politics, and its evil twin mainstream media, was unrequited, so I mostly give it a miss now. I applaud your efforts though. I quite like grey. In fact the G.O. who at times can be quite fond of a black and white stance often thinks I’m a little too fond of it. Grey seems to be quite an interesting subject in its own right – if you have time and fancy a bit of mind boggling check the link that Thel has put in her comment on this piece – hue, value… I doubt if I will follow through on founding a party, but there is something here that appeals. Part of me inclines to your GO’s stance and feels once you start to compromise on principles you’re damned (or grown up) but human beings just have to compromise on some things in order to live together – don’t we?